Our smartphones do so many things nowadays that it’s easy to forget the main function is to keep you in contact with the people in your life. 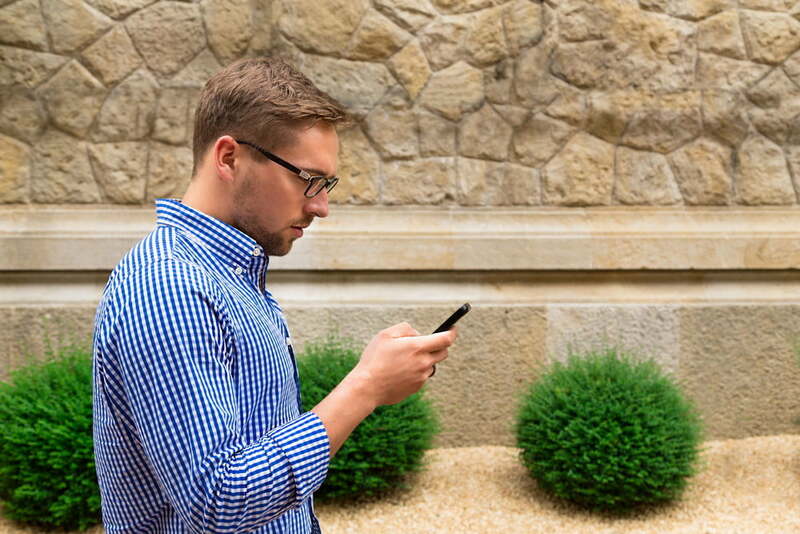 Calling someone is one way to catch up, but sometimes texting is faster and more convenient. It’s nice having options, but there are times when you receive a message from a contact you’d rather not be in contact with, or get a random message from a number you don’t recognize. You can delete the message, or reject the call, and move on, but a much more permanent solution is to block those people entirely, thereby preventing their texts from reaching you until you decide otherwise. Thankfully, both iOS and Android devices allow you to easily do this, and we’ve broken down how to block text messages on your cell phone. If you’re looking for a guide on how to block numbers, we’ve created separate guides on blocking calls on Android and blocking calls on iOS. Blocking texts in iOS is easy. For messages specifically, tap the message from the contact you want to block, then tap Details in the top-right corner. Again, in the top-right corner, you’ll want to tap the “i” icon to open the Info page, then tap Block this Caller at the bottom of the page. 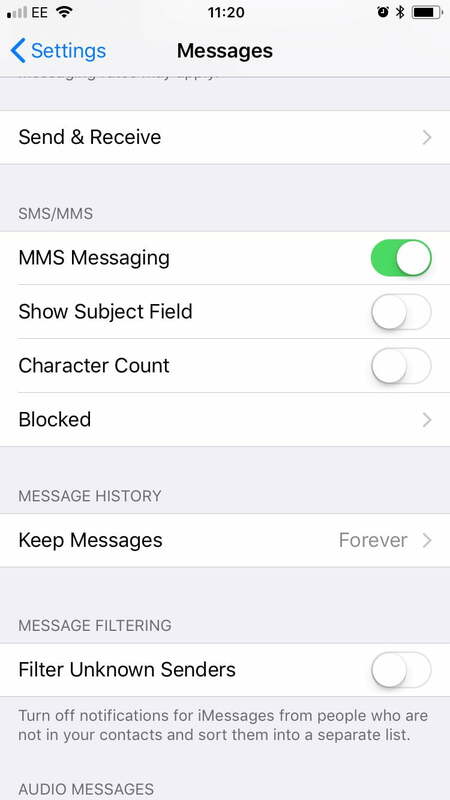 Another way is to go to Settings > Messages > Blocked and tap Add New to add a new blocked contact. Using either method, you’ll not only block messages, but also phone calls and FaceTime calls. 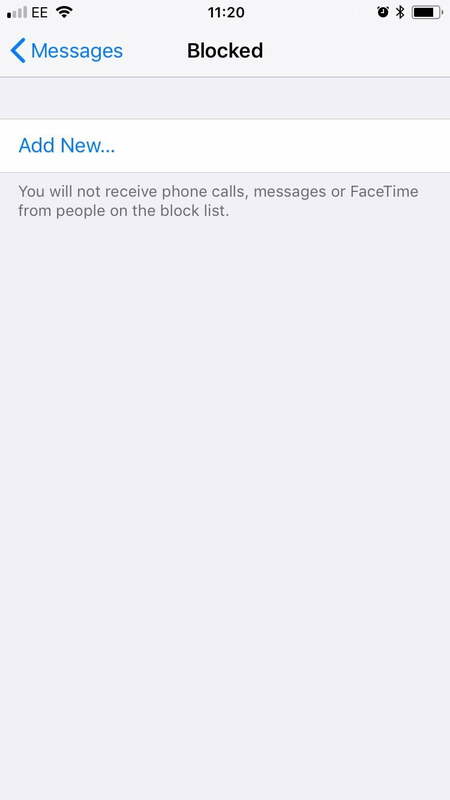 This saves you from having to go to the Phone and FaceTime apps and settings to block the same person. Unfortunately, you can’t outright block unknown and private numbers in the same way you can known contacts. You can, however, filter and separate them from the people you know. Go to Settings > Messages and toggle on the Filter Unknown Senders option. 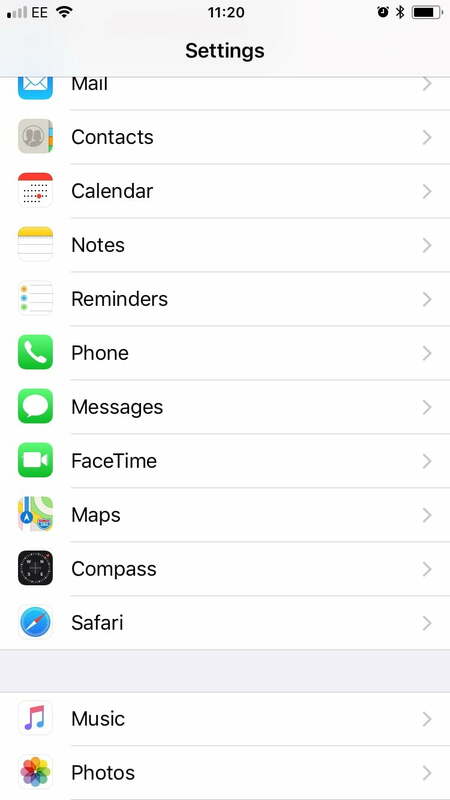 This will create a new tab in your Messages app called “Unknown Senders,” and you won’t get notifications for these. It may not be ideal, but it’s a decent compromise. Another thing you can do is report spam and junk iMessages. When you get an iMessage from someone you don’t know, there will be a “Report Junk” link. Tap the link to forward the sender’s information and message to Apple. The company should deal with the contact and eventually render the person or bot unable to message you again. You can also email Apple at “imessage.spam@apple.com.” Keep in mind that you’ll need a screenshot of the message, as well as the email address or phone number that sent the iMessage, and the date and time you received it. Apple doesn’t deal with SMS and MMS messages, but you can always report them to your carrier. AT&T, for example, suggests sending the spam message to 7726 (SPAM). Afterward, the carrier will look into the message. There are two ways to go about blocking messages on a Google phone, like the Pixel 2. The first is to open the Messenger app, then open or start a conversation with one of your contacts. Tap More — represented by three vertical dots — select People & options, and tap Block. 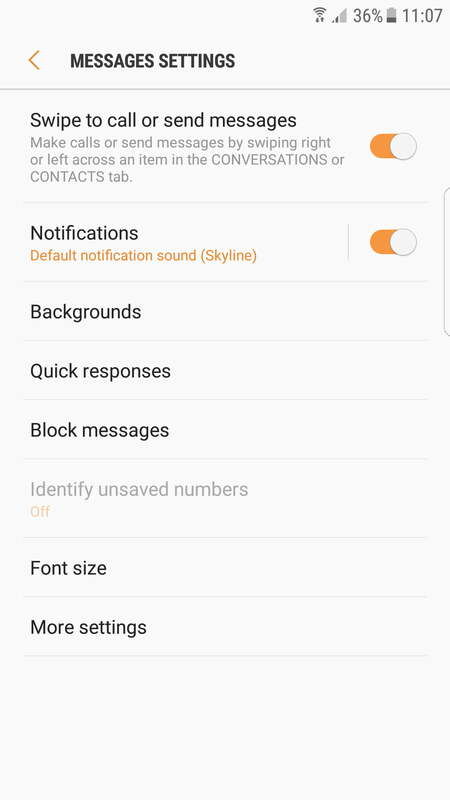 You can also open the Messenger app, touch and hold the conversation you want to block, tap Block when the option appears in the top-right corner, and tap OK. 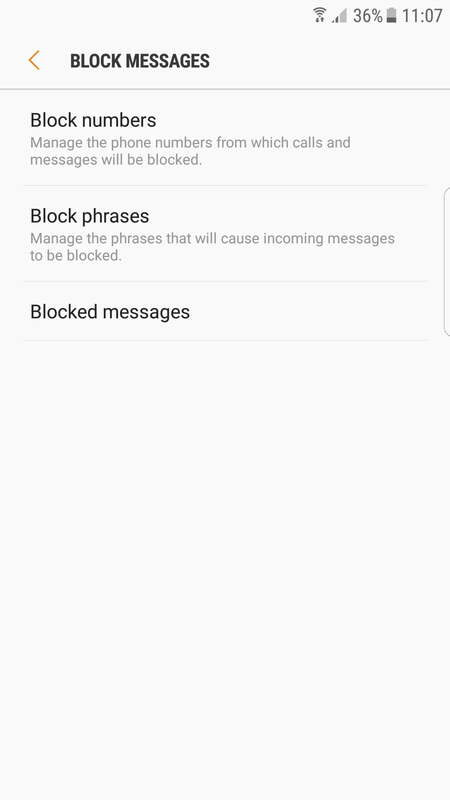 Similar to a Google phone, Samsung phones have two ways to block messages. One method involves opening Messages, then choosing the conversation that contains the contact you want to block. From there, tap the More icon, select Block number, and toggle to check Delete conversation if you like. Then, tap OK.
Or head to Messages > More > Settings. 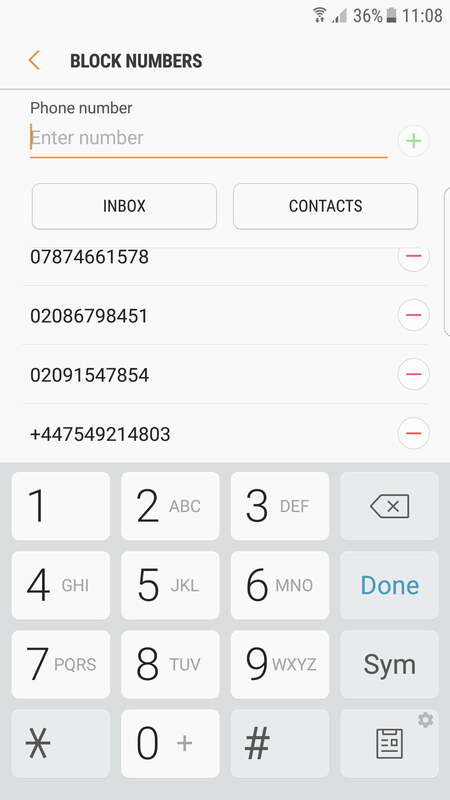 Tap Block messages, then Block numbers, where you can manually enter the contact’s number and tap the ‘+’ sign, or choose from your inbox or contacts list. When you’ve entered all the numbers you want to block, tap the back arrow. LG’s blocking process is fairly quick and straightforward. Start by opening LG’s messaging app and tapping the SMS or MMS message you want to block. Then, tap the three dots in the upper-right corner, then tap Block number to confirm your choice. The number should now be blocked. Much like LG’s blocking process, HTC’s way of blocking unwanted messages is quick and easy. Open Messages, then tap and hold the desired text conversation until the Message options appears. Then, tap Block contact. Many mobile carriers provide services and additional settings to help their customers block messages from specific numbers, like those from telemarketers. T-Mobile has Message Blocking, Verizon has Block Calls & Messages, Sprint requires using Limits and Permissions via My Sprint, and AT&T has Smart Limits. There are dozens of apps in Apple’s App Store and Google’s Play Store that you can install if you’re looking for more ways to block numbers and messages. Here’s what we recommend checking out if you want to go down that path, but be aware of the potential privacy issues when you share your contacts. Our top pick for the best call-blocking app is Should I Answer? An active community shares information and reviews on numbers and rates them, so you can see when a message comes in whether the number it’s coming from is legitimate or not. You can easily block numbers, it works when you’re offline, and you can even choose to block all numbers that aren’t on your contacts list if you want to. While this text-blocking app does access your contacts, the developer promises that it’s only to check them against incoming calls, and your private contacts are not uploaded or shared. Unfortunately, it’s not available for iPhones. If you’re waging war against spam, then you may also want to check out our guide to blocking a specific email address.